The decision to create a “lifelong” home usually springs from a simple desire: to safely and comfortably remain at home for as long as possible. 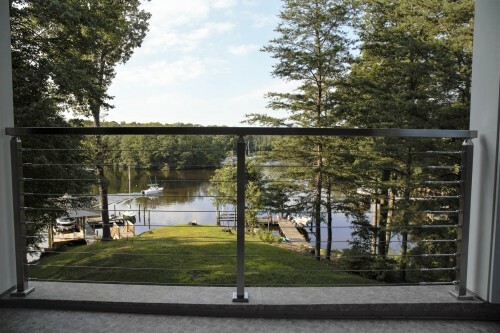 Greg [ Severna Park, Maryland] extended that vision by choosing our Miami Square cable railing. His selection achieved this level of safety while maintaining a sense of style and symmetry matching his beautiful stainless steel hot tub. He used our Stainless Steel Handrail Wall Bracket Square Magnetar to support the handrail going down to the basement of his house.